The Freed Thinker Podcast - A Tyler Vela Joint: Exodus 21:20-21: A Manual For Beating Slaves? Now I’m not actually going to respond to the full comment. I want to select one of the clauses to show that this kind of rhetoric is often so blinded by bias and so ignorant that it is surprising that anyone who claims to be a “critical thinker” or a “skeptic” buys into it. And yet this thread got all kinds of congratulatory back pattery and here-here’s (as well as a whole host of new bigoted comments to go along with it) that one would think this person had said something deeply profound or that he had stated some iron clad refutation of Christianity. In fact he may even be drawing this directly from RationalWiki which asserts basically the same thing, showing why RatiWiki is less helpful (and ironically less rational) than just plain ol' Wiki. To antitheistic fundamentalists like this their confirmation bias will also tell them that it is because of blind faith and the irrationalism of religious belief that will keep religious people from following such tight logic. The fact is that no religious person will be swayed by it because it is just nonsense. I am not going to here go into all the detail on the historical or socio-economic background of debt or bond servitude in the Old Testament, but for those interested you can find my series on that beginning here with part one, part two and part three. In this article I just want to address what this law is and is not permitting or prohibiting, not whether or not is moral or immoral or if it should or should not be normative for Christians. First we have to remember the genre of literature that we are reading. This portion of Exodus is a genre of literature known as a legal code. More specifically it is a casuistic law code. That means that these are case law from which general principles are derived. So it gives “for instance” kinds of laws that are not meant to exhaust all options but rather give illustrative or exemplars of the kind of things that are and are not permitted by the legal code. Law 1 (vv20-21) – If someone has a servant and they beat their servant to death, then the family of the servant has the right to seek retributive capital justice – a life for a life. If the servant does not die, then the family cannot seek capital justice. The landowner cannot be put to death for it. Law 2 (vv22-25) – If people are fighting and accidently cause a pregnant woman to go into labor but the child is fine, then there cannot be retributive capital judgment, but rather a fine as deemed proper by the courts. If there is serious injury (i.e. the child dies) then it is murder and it is life for life or, as the law explicitly states, eye for eye, tooth for tooth, hand for hand, foot for foot, burn for burn, wound for wound, bruise for bruise. That is, the second law does not limit the lex talionis (law of the tooth) to just eyes and teeth. It is that injury of any sort is in view. Eyes are teeth are given as exemplars – clear examples – but the law is not limited to eyes and teeth. Law 3 (vv26-27) – If a landowner hits a servant (male or female) and they are injured in any way (see law 2 above) then the lex talionis applies to them. Not only is the landowner to let the servant go free and forgive all their debt (debt is what caused servitude in Israel) but is to also compensate them for any harm done. Think of this like the first workman’s comp law. So what we see when we read the laws ALL together (as we should read ALL legal codes) is not a manual for how Jews were to beat a slave. Rather what we see are laws protecting servants from harsh landowners. They had a right to life and a right to not be beaten. If a landowner beat their slave to death then that landowner would be punished to death. However, if the landowner beat his servant but that servant didn’t die then that servant would still, under Law 3, be set free with his debt forgiven and compensation. 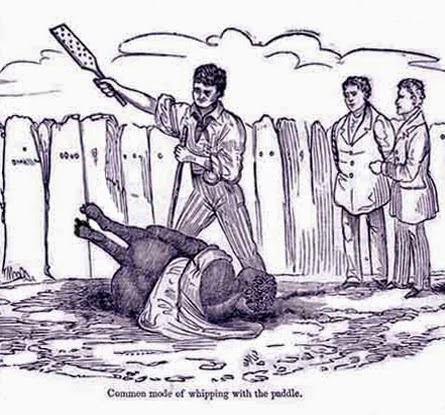 To say that it is a manual for how to beat a slave is simply as wholly inaccurate of a reading as the person who reads Hamlet and comes away thinking that they have just read a comedy on the plight of 20th century hipsters. Now, I readily admit that this does nothing like show that God exists or that the Bible is inspired but all too often self-professed “free/critical thinkers” and “skeptics” will buy anything that is said in a witty and inflammatory manner so long as it mocks religion and gives them a platform to join the club to make fun of us “god-tards.” Yet just a rudimentary level reading comprehension would show that this atheistic fundamentalist is completely unable to be objective an unbiased. If that is the kind of “summary” of the law found in Ex 21:21 (which is a relatively simple and clear passage) which they find convincing, then why should anyone expect him to do any better on more complex texts requiring a deeper and more nuanced understanding of the historical, socio-economic, religious, literary or original language contexts? I would ask him to name any scholarly or academic commentary that would agree with his reading of the text as an instruction manual for how to beat a servant. I highly doubt this "skeptic" is very "skeptical" of his own statements or has done any research on these texts whatsoever. Likely he is just parroting the kind of bigotry that has become common place among the internet infidel types. And yet look how many “skeptics” just uncritically agree with him and use it as a launching pad to their own intolerant screeds. This particular antitheistic fundamentalist is especially bothersome since he claims in his published work to be an “American scholar of religion” and so people think that his statements are researched when, as we have seen above, they are not only not researched but are just poor reading comprehension. I bet I know who you're talking about, haha.